The House Ways and Means Committee passed the GOP’s tax overhaul bill, the Tax Cuts and Jobs Act (H.R.1) Nov. 9 by a 24–16 vote along party-lines. Introduced Nov. 2 by Chairman Kevin Brady (R-Texas), the legislation culminates a year of work by Brady and House Republican leadership to craft a comprehensive tax reform package. The 452-page bill would alter nearly every portion of the tax code, including many key county priorities outlined below. Broadly, the House Republican tax reform plan would lower individual and corporate tax rates and sets a new rate for so-called “pass through businesses,” or businesses that file on the individual side of the tax code. To make up revenue lost by lowering rates and to simplify the code, the package also eliminates or caps dozens of tax deductions and credits. Ultimately, the Joint Committee on Taxation estimates H.R. 1 will result in a roughly $1.5 trillion increase in the national deficit over the next decade. Both chambers of Congress intend to move quickly on the legislation, aiming to send a final bill to the president’s desk before Christmas. While the initial versions approved by each chamber could differ substantially, ultimately both chambers must agree on the same package before taking a final vote. Republicans plan to use the budget reconciliation process to pass the bill, which only requires a simple majority vote in the Senate but adds additional financial restrictions and rules to the legislation. Many components of H.R. 1 will impact counties and the services they provide their residents. In addition to key county priorities, a list of other changes is included at the end to provide more context and information about the overall bill. H.R. 1 Proposal: The Tax Cuts and Jobs Act would retain the deduction for property taxes, capped at $10,000 per tax filer, and it would fully eliminate the deductions for state and local income and sales taxes. Businesses and pass through filers, however, would still be able to deduct all state and local taxes. The provision would generate $1.1 trillion in new revenue for the federal government. Current law: Any individual or family who itemizes their tax returns may deduct either state and local income taxes or state and local sales taxes paid. Any taxpayer who itemizes can also deduct property taxes paid. Impact on counties: Eliminating or capping the SALT deduction represents a significant revenue shift from state and local governments to the federal government. Additionally, any changes open the door to further cuts and caps by Congress. Homeowners and families are particularly hit hard by the proposal to limit the SALT deduction, since they are the most likely to see their tax rates increase. Additionally, the proposal could remove many home ownership incentives, potentially resulting in a decline in home values and leading to less local revenue generated through property tax assessments. Finally, the bill develops a double standard by denying the SALT deduction to individuals while retaining it for businesses. Take action: Call your representatives now and urge them to support full preservation of the SALT deduction in tax reform. Call your senators as well, because the Senate version may repeal the deduction in its entirety. Visit www.americansagainstdoubletaxation.org to access more information on the deduction, including new data on how the proposal would impact middle-class families. H.R. 1 Proposal: The tax reform package would retain the tax-exemption for municipal bond interest, with one exception: municipal bonds used for professional sports stadiums would no longer be tax-exempt. The proposal would generate $200 million over 10 years. Current law: Interest earned on all municipal bonds is tax-exempt. Impact on counties: Some counties own and maintain local professional sports stadiums, while others may consider building new ones. Narrowing the scope of tax-exempt municipal bonds opens the door to future changes to further restrict which types of projects can be supported by municipal bonds. Take action: Call your representatives and senators now and remind them of the importance of municipal bonds to all types of infrastructure projects. H.R. 1 Proposal: The tax reform package would eliminate the tax-exempt status of advance refunding bonds. Interest on current refunding bonds would continue to be tax-exempt. The provision would be effective for advance refunding bonds issued after 2017 and would generate $17.3 billion over 10 years. Current law: Under current law, governmental bonds — including municipal bonds — are permitted one advance refunding during the lifetime of the bond to refinance the bond. This allows public issuers to take advantage of fluctuations in interest rates to realize considerable savings on debt service, which ultimately benefits taxpayers. Impact on counties: The ability to advance refund outstanding bonds provides substantial savings to taxpayers and counties throughout the country. In 2016, the advance refunding of more than $120 billion of municipal securities saved taxpayers at least $3 billion. Best practices advanced by the Government Finance Officers Association (GFOA) recommend minimum savings thresholds on a present value basis of 3 percent to 5 percent when advance refunding municipal securities. The combined impact of all the bond proposals in H.R. 1 would be an additional $60 billion in federal revenue at the expense of local governments and infrastructure development. Take action: Call your representatives and senators and ask them to support advance refunding bonds, a provision rewarding fiscal stewardship and saving taxpayer dollars. H.R. 1 Proposal: Under the proposal, interest on newly issued PABs would be included as income and thus subject to tax. The provision would be effective for bonds issued after 2017 and would generate $38.9 billion over the next 10 years. Current law: Under current law, interest earned on PABs is tax exempt. Impact on counties: While PABs generally benefit a larger percentage of the private sector than the proceeds of governmental bonds, counties and their local partners often leverage PABs to engage in targeted economic development and build moderate-to-low-income single-family housing, large hospitals, airports, seaports and water and sewer systems. By eliminating PABs, the federal government is dictating to states and local governments the types of financing methods they may use, thereby undermining vital projects that provide essential public services. Take action: Call your representatives and senators and ask them to support all types of financing for projects vital to local communities. H.R. 1 Proposal: H.R 1 would not delay or repeal the so-called “Cadillac tax,” a 40 percent excise tax on “high value” employer-sponsored health plans. Current law: The Affordable Care Act (ACA) levied a 40 percent excise tax on high cost employer-sponsored health coverage. In the omnibus spending package passed in December 2015, Congress included a two-year delay of the implementation of the tax, which is scheduled to take effect in 2020. Impact on counties: There are 3.6 million county employees that serve over 308 million county residents, and health care coverage is one of the primary benefits counties use to attract and maintain a quality workforce. If the excise tax on employer-sponsored health insurance is implemented, counties will face a significant impact on their budgets and workforce. Take action: Call your representatives and senators and encourage them to include a full repeal of the Cadillac Tax in any comprehensive tax reform package. Health insurance contracts are typically set two years in advance, meaning counties must budget for potential changes well before they go into effect. A full repeal will ensure certainty as counties determine health plans for their employees. H.R. 1 Proposal: The proposal would eliminate any new New Markets Tax Credits (NMTC) after 2017, two years before the program’s current expiration date. Credits already allocated may be used over the course of up to seven years as contemplated by the credit’s multiyear timeline. The proposal is estimated to generate $1.7 billion over the next 10 years. Current law: Under current law, certain qualifying investors may claim credits for developments in qualified community entities when they meet thresholds defined by law. These investments generally serve low- and middle-income families and individuals. The NMTC is currently authorized through 2019. Impact on counties: Many counties rely on private investment in single-family and multifamily affordable housing to help stimulate neighborhood revitalization. NMTC is one of many tools counties can use to encourage this investment, and losing incentives and private investment will strain county resources. 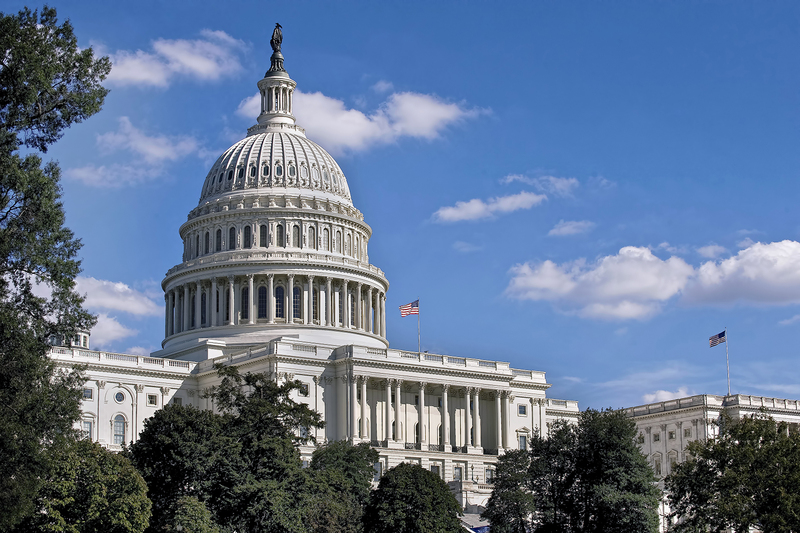 Take action: Call your representatives and senators and ask them to support key tax code incentives that stimulate private investment in local affordable housing and neighborhood revitalization. H.R. 1 Proposal: The tax reform bill would alter some energy tax credits while leaving others unchanged. For example, the value of the wind energy tax credit would be reduced by from 2.3 cents per kilowatt-hour to 1.5 cents per kilowatt-hour, but the tax credit for the solar industry would remain unchanged until its expiration in 2022. Current law: Under current law, wind energy tax credits are extended at their current level through 2020, while solar credits are extended through 2022. Impact on counties: Many counties work to attract renewable energy development within their borders. Eliminating renewable energy credits could reduce incentives for companies to build new facilities, which generate new property taxes and create local jobs. Take action: NACo policy supports industry tax incentives for a wide range of renewable energy technologies. Ask your representatives and senators to treat renewable energy tax credits equally.